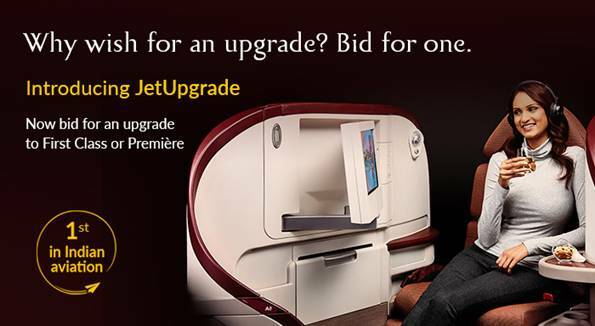 MUMBAI, India, 2018-Apr-27 — /Travel PR News/ — Economy and Première guests of Jet Airways, India’s premier international full service airline, can now experience the next level of the airline’s acclaimed in-flight service, following the launch of the carrier’s latest initiative – JetUpgrade*. The Jet Airways Group currently operates a fleet of 119 aircraft, comprising Boeing 777-300 ERs, Airbus A330-200 / 300, Next Generation Boeing 737s and ATR 72-500 / 600s. This entry was posted in Airlines, Flights, Travel, Travel Services, Travelers and tagged Jet Airways, JetUpgrade, Raj Sivakumar. Bookmark the permalink.